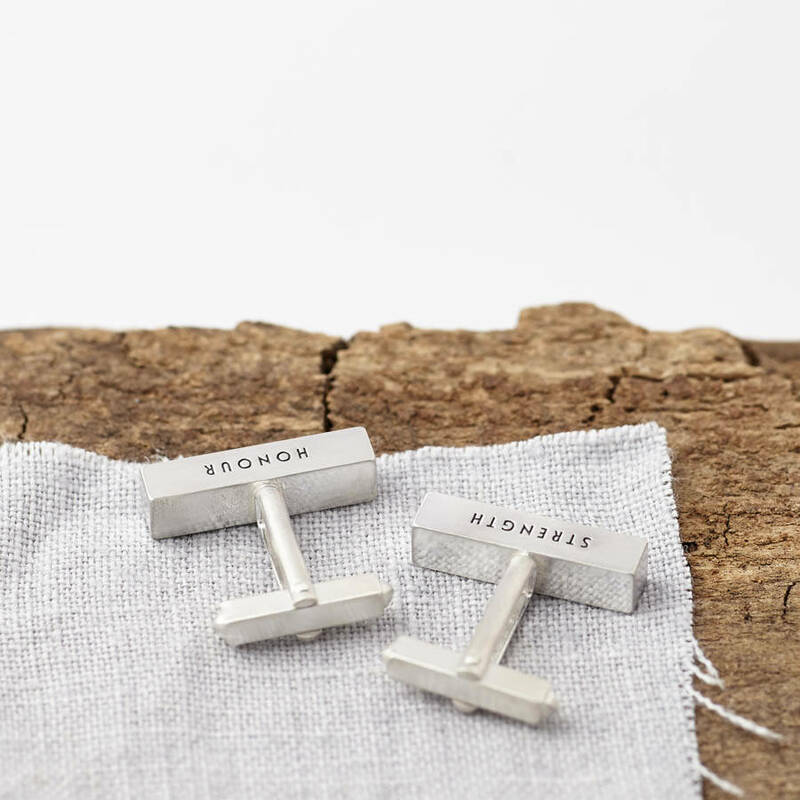 Handmade in our studio from solid sterling silver, these cufflinks can be personalised with your words on 1, 2 or 3 sides of the silver. 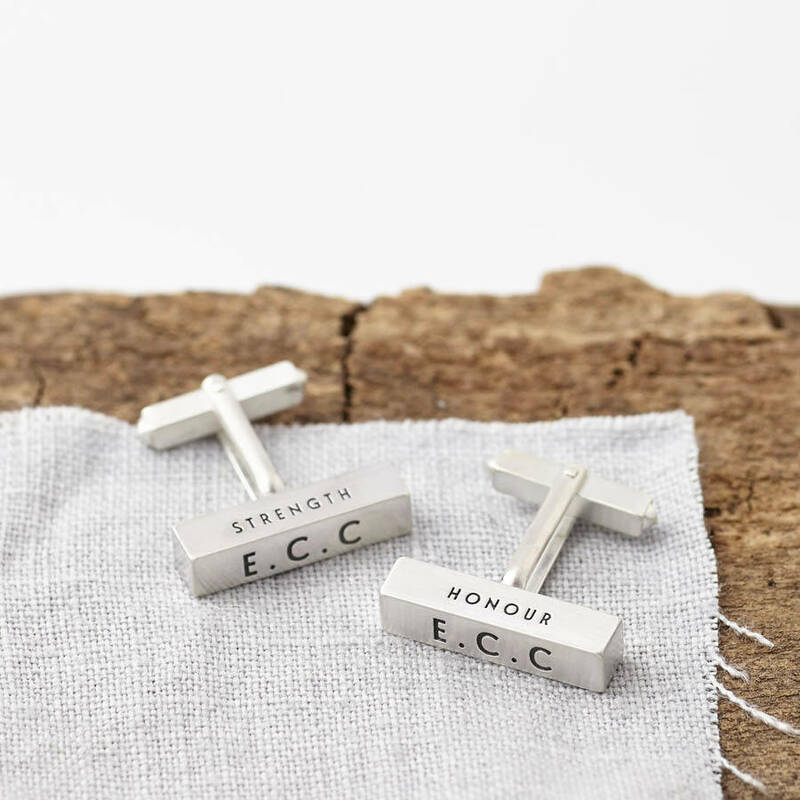 Perfect as a Birthday, Anniversary, Christening or Groom's gift. 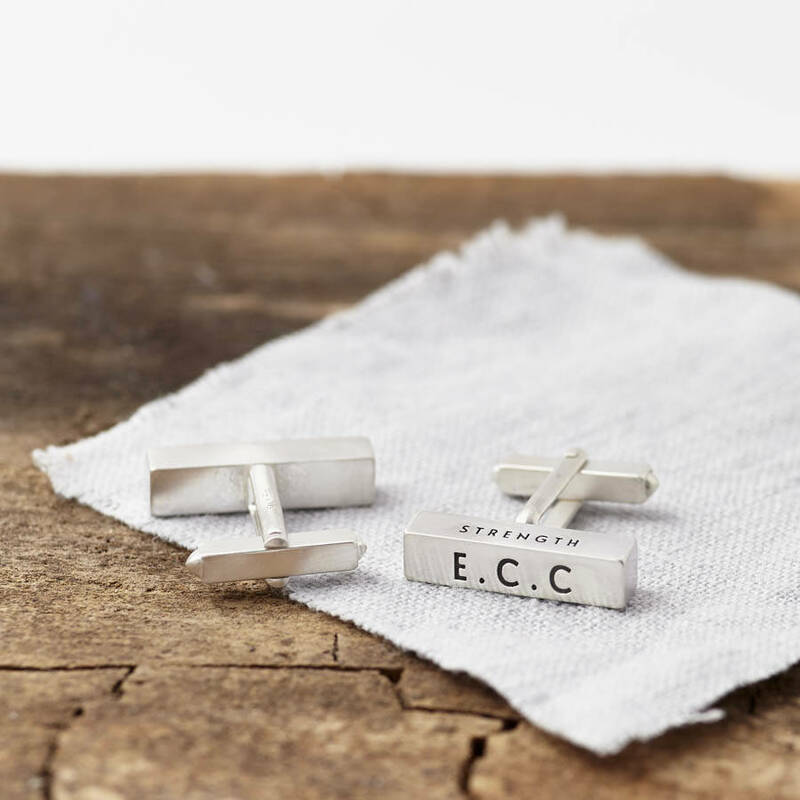 You could add initials, dates or words to the cufflinks. We can engrave up to 10 characters (including spaces and punctuation) on each side of the cufflinks. 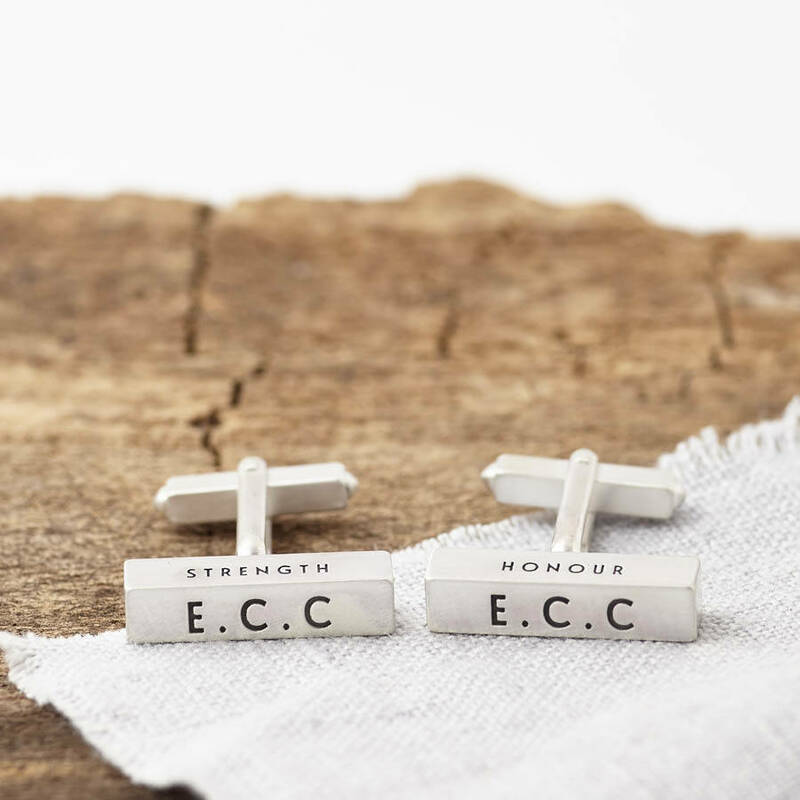 Please note: the cufflink fittings will be those shown in the first, main image - round barrel cufflink fittings. 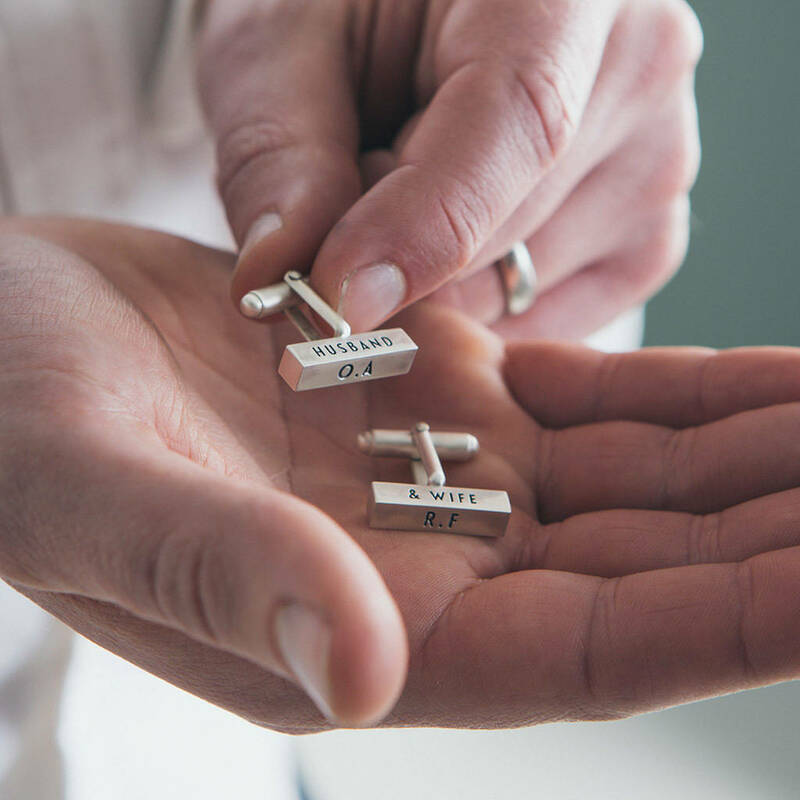 Bar measures 2cm x 5mm.